The rising energy consumption of the ICT industry has triggered a quest for more sustainable, i.e. energy efficient, ICT solutions. Software plays an essential role in finding these solutions, as software is identified as the true consumer of power. However, in this context, software is often treated as a single, complex entity which fails to provide detailed insight in the elements that invoke specific energy consumption behavior. 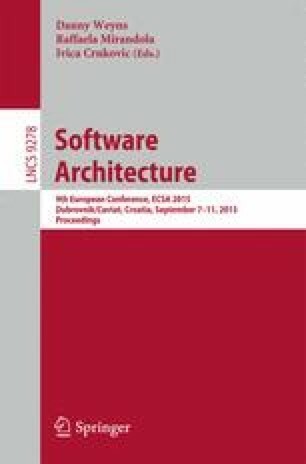 In this paper, we propose an energy consumption perspective on software architecture as a means to provide this insight and enable analysis on the architectural elements that are the actual drivers behind the energy consumption. In a case study using a commercial software product, the perspective is applied and its potential demonstrated by achieving an energy consumption saving of 67.1 %.